One of London's busiest commuter stations at the heart of financial London. Regular trains depart Liverpool Street for destinations in Essex and East Anglia. The Stansted Express leaves every 15 minutes for Stansted airport and takes about 45 minutes. Off peak the Express runs twice an hour, and is replaced by a bus service during the night. The Underground station connects to the Hammersmith and City, Circle, Metropolitan and Central lines. 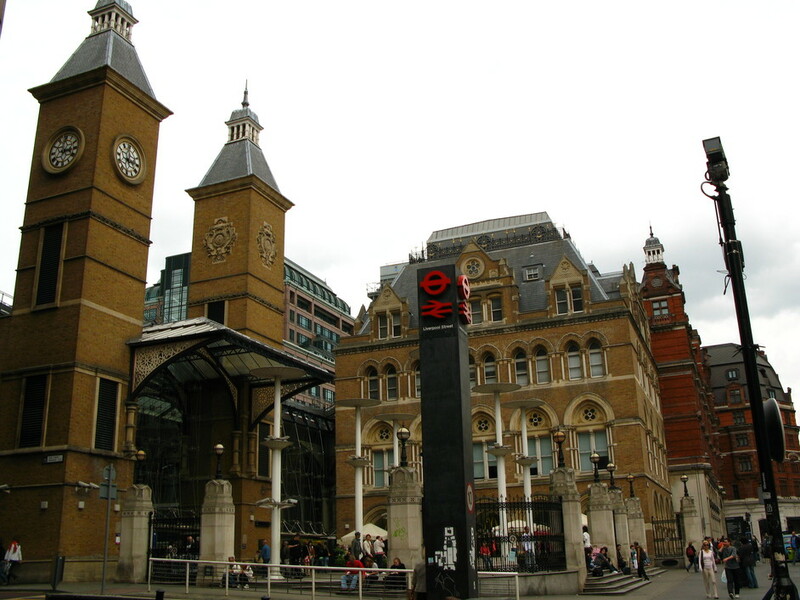 This bustling station is situated right on the north-east limits of the historic City of London. Nearby there are plenty of impressive buildings shooting up into the sky including Tower 42 and the Swiss Re Gherkin. To the north are the bars and clubs of Shoreditch and Old Street whilst eastwards lie Spitalfields Market and Brick Lane, the 'Curry Mile'. What are the best dining options near Liverpool Street Tube Station London? Liverpool Street Tube Station gyms, sporting activities, health & beauty and fitness. The best pubs near London Liverpool Street Tube Station. Liverpool Street Tube Station clubs, bars, cabaret nights, casinos and interesting nightlife. Where to have your meeting, conference, exhibition, private dining or training course near Liverpool Street Tube Station. From cheap budget accommodation to luxury 5 star hotels see our discounts for Liverpool Street Tube Station hotels, including South Place Hotel from 39% off.